Personalize your bridal jewelry to match your wedding colors! 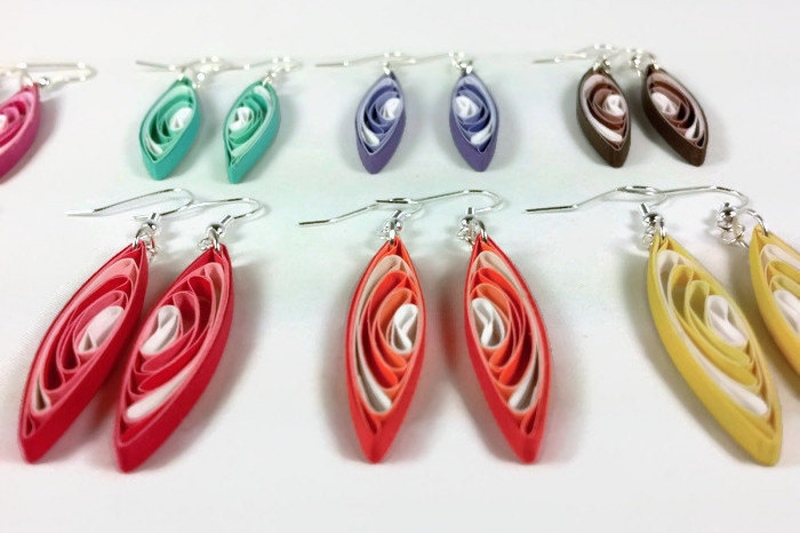 Pick from 8 different shades to be artfully swirled among white filigree for a truly unique look. 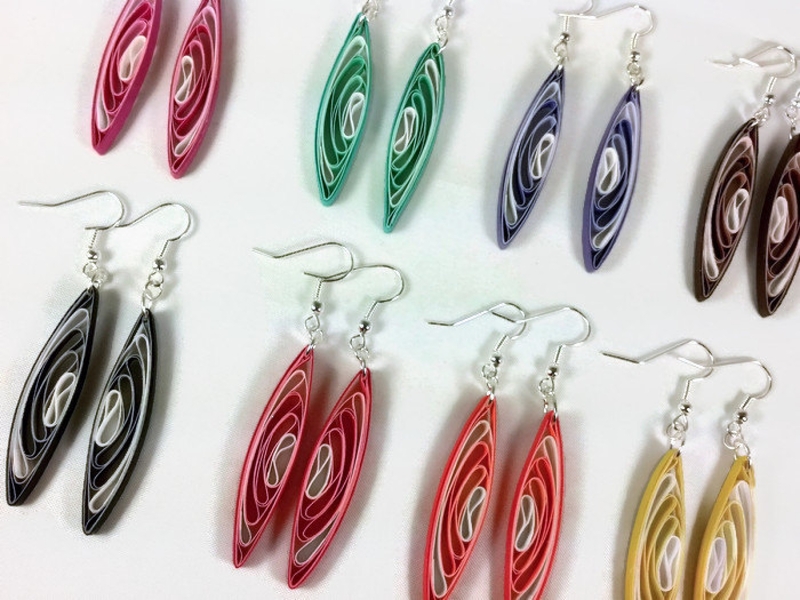 These long paper quilled earrings are made from 1/8" thick paper quilling strips. Stunning inside detail. They are coated in a sealant which makes them water resistant and UV resistant so they will be gorgeous come rain or shine! They are super lightweight and comfortable to wear. Plastic safety backs are included. 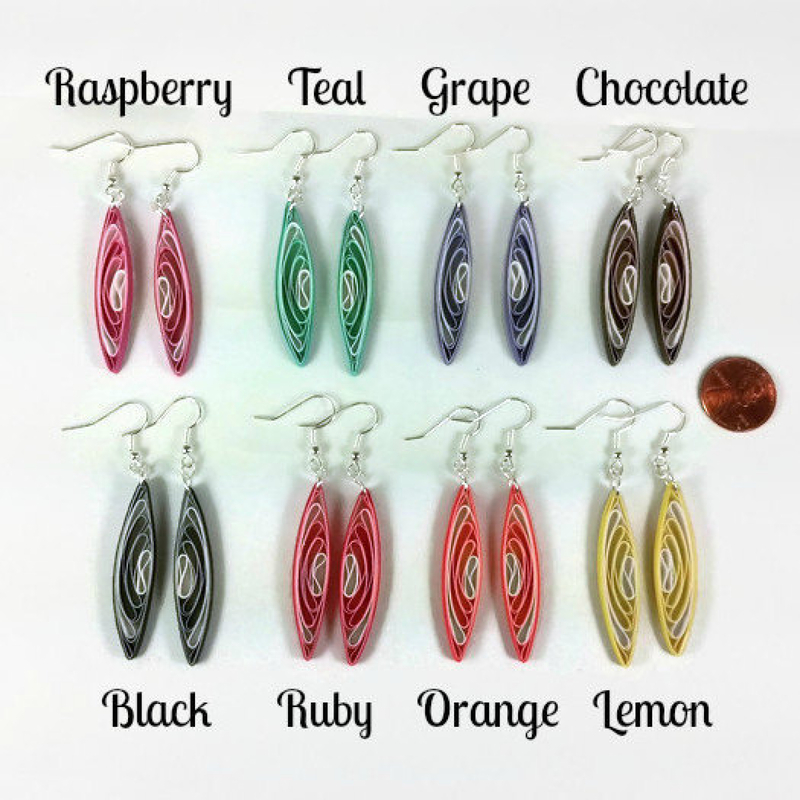 Can be converted to clip-on earrings for un-pierced ears or to ultra hypoallergenic niobium hooks for sensitive ears. Sterling silver hooks also available. 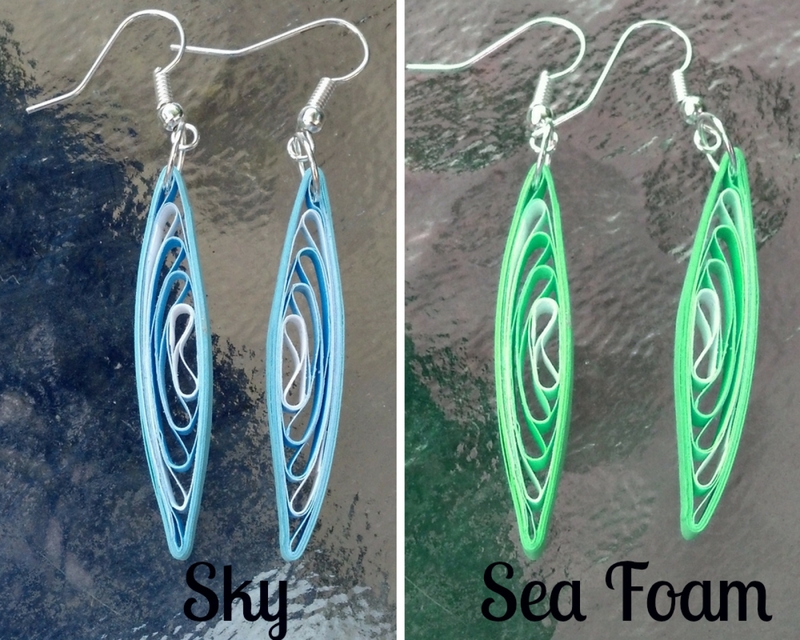 *These earrings will be handmade to order. If you would like a smaller or larger size just let me know and I will be happy to accommodate your request. *Multiple quantities available! Ask me about bridal discount pricing for bridal party orders. *Mixing and matching available. 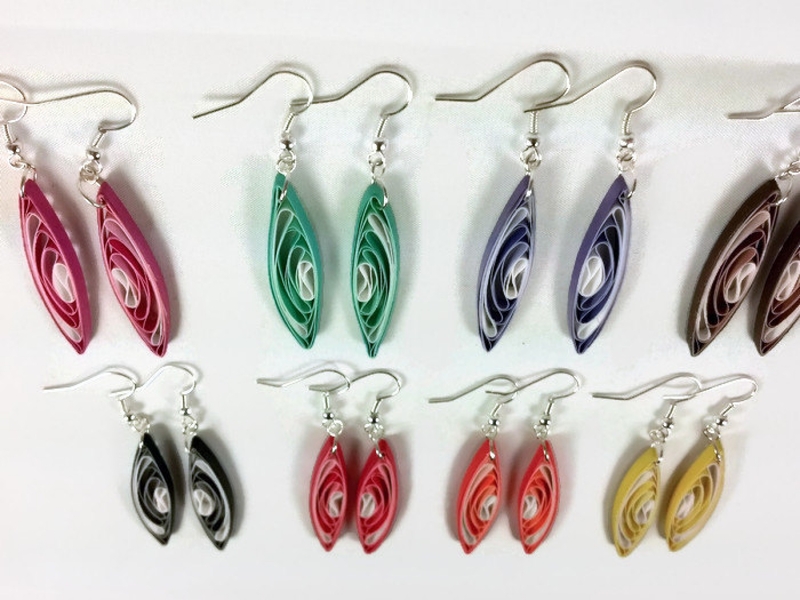 Make each pair different, like each of your girls! Just ask!